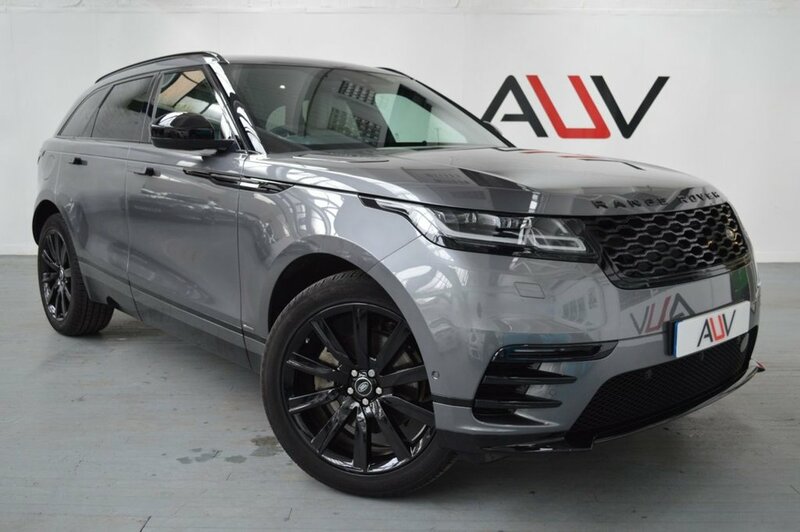 We are very pleased to offer on sale this fantastic Range Rover Velar R-Dynamic with the following specification. Ammonite Corris grey paint finish, R-Dynamic Black Pack, Light Oyster Perforated Windsor leather, Heated & Cooled front seats, Extended leather upgrade, 21 inch Satin black alloy wheels, Parking pack, 360 Parking aid with rear traffic monitoring, Blind spot assist, ACC Queue assist, Ambient interior lighting, Auto high beam assist, Heated front windscreen,Heated headlight washer jets, Pro-services and wi-fi hotspot, 10in Touchscreen Display, Bluetooth Connectivity, Cruise Control, Branded surround sound system, Digital Audio Broadcast Radio (DAB) Radio, Airbag/Mid IP/Door Top, Front and Rear Electric Windows, reserve this vehicle or tailor your finance package . Windscreen, Hill Launch Assist, InControl Touch Pro Duo, Rain-Sensing Windscreen Wipers. Before you reserve a vehicle we ask that you read both our Business and Warranty conditions in the 'Terms' tab above. Specialists in vehicle financing we can offer our clients market leading, bespoke funding packages. Finance examples are subject to status, regulated and monitored by the FCA. Goods and services are supplied by Approved Used Vehicles Ltd. For further information on how to reserve this vehicle or tailor your finance package please call us on 01455 446505.